The worst hotel that i ever seen even more than worst, it is not even 1 star hotel, there was no towel and shampoo for many days however our rooms were beside the reception desk we asked them many times but we received the old and dirty towels after 2 days،there was some dry blood spots in bed sheet so it was very dirty, the breakfast was awful you should ask them even for the cup. I don't prefer this hotel for anyone. No hot water for bath in the morning both the days of my stay, lack cleanliness, food is to expensive rates are as good as eating in 4 start property. please avoid tis property. This is like an oasis in Delhi. If you want a quiet place to get away from all the busyness, this place is for you. Make sure you try the restaurant around the corner, Indian Accent. The hotel is located in a buildingsite, workers working next door from 8a.m. every day. View from room to a slum where workers live. Staff was very helpfull, smiling and no-one was expecting or begging for tips which was a relief. Wifi was slow, and you have to get a new password every day from reception and create a new account. This system is really a pain as the system requires so many details from you and it takes time to write your personal information every time. Hotel is worn down, food so bad we had to send it back as the sauce tasted like decaying dirt. If you are looking for a really cheap hotel this might be a good solution, but order food from outside. Personally we wont go again. Stuff freindlyness, kitchen efforts, Internet connection. The hotel is in a good gated Niebuhrhood. Quit far from the tourist attractions and city center. Some morning it took almost an hour to get to a tourist site. Being that far should be compensated with tranquility, but unfortunatly the hotel sits behind a major road with traffic going all day and night. It was good to stay there.This is a very very nice hotel. You can stay for days without leaving the building, and still have a good time. The hotel has evrything what a hotel should have, and a bit more. Many many different types of food providers. 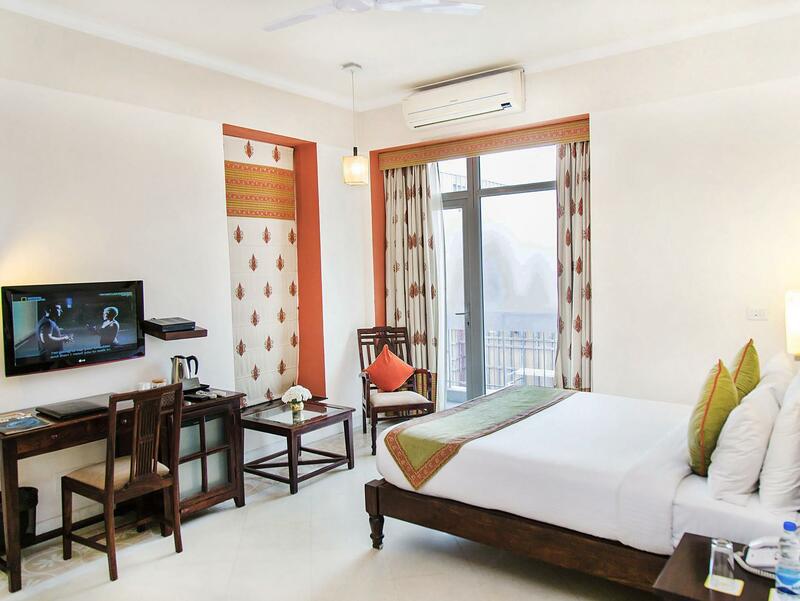 We stayed in this boutique hotel for our last night in India. The hotel is located in a upscale residential area and security was good during our stay. Highly accessible by tuk tuk or taxis. Rooms were modern and furnished nicely. Reception staff were friendly and helpful in dispensing advice and suggestions for travellers. 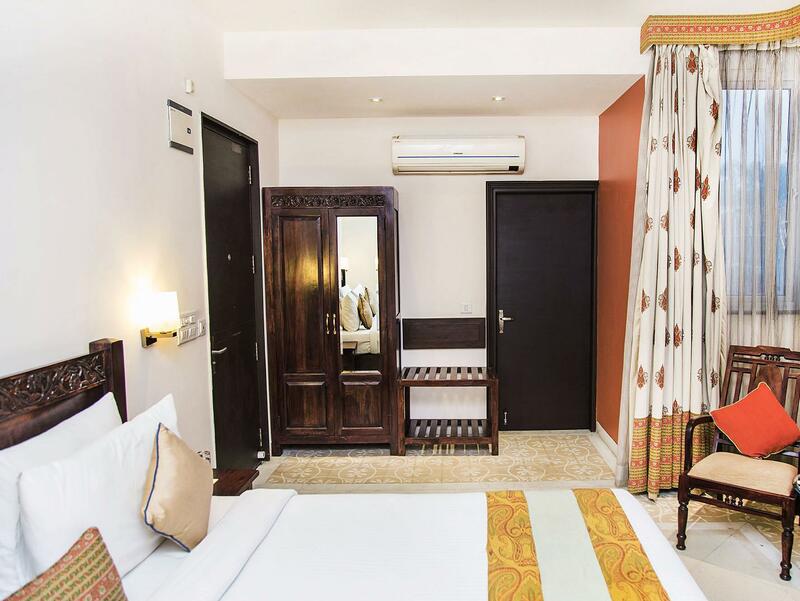 Overall a pleasant stay and would recommend this hotel for businessmen and tourists alike in New Delhi. We had a late arrival into Delhi and needed a convenient hotel before the drive to Agra the next morning. We choose the Mantra because it was supposed to be close to the airport and convenient to get on the road to Agra. The air con was set way too low, the room was freezing and we could adjust the temp. We had to turn it off to make the room bearable. We arrived late at night (1am) and the staff was waiting for us. Proper service and convenient location if you are coming from the international airport and look forward to going to Agra the day after. Breakfast very basic. 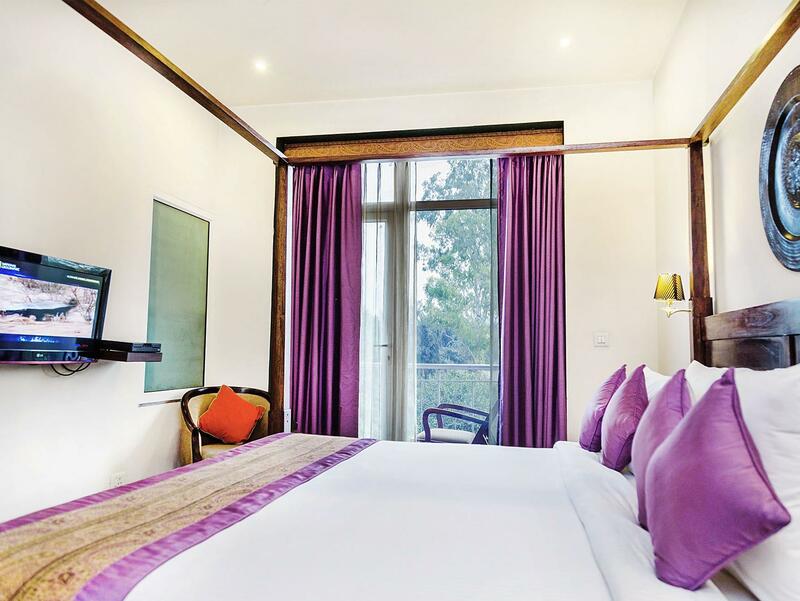 The hotel itself has nothing special and would not really qualify as a boutique hotel. only stayed one night but found this hotel to be first class. it is in a quiet part of delhi, nice surroundings. the service was brilliant and the room a very high standard. Clean, quiet , secure, helpful with excellent service - especially breakfast! 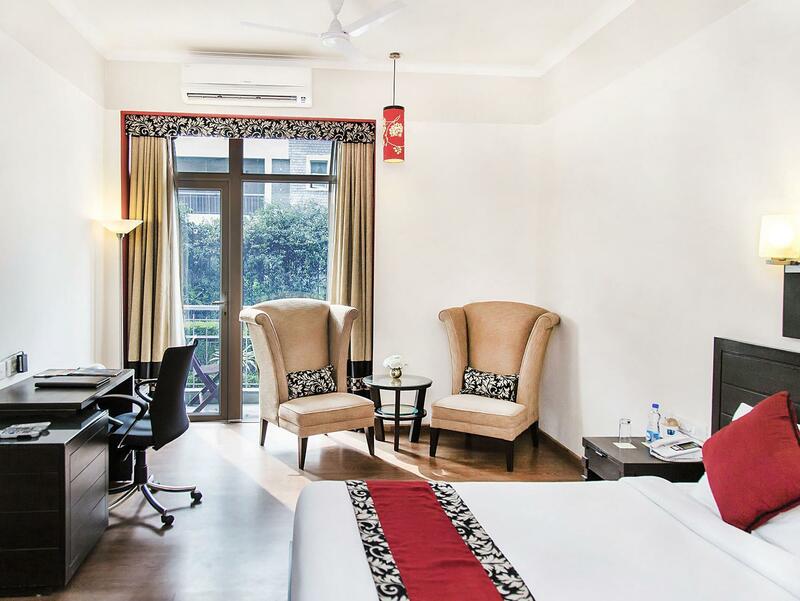 This was our second attempt to find a suitable hotel in Delhi. Not easy without good guidance! 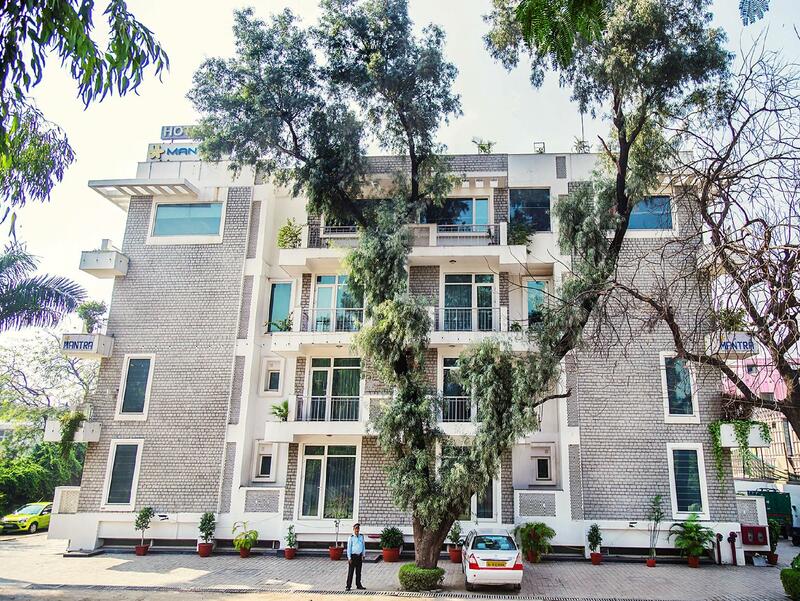 Although the staff in both hotels were charming and helpful, the Mantra Amaltas was streets ahead in terms of professional competence, security, surroundings and comfort. Highly recommended. We requested and the hotel confirmed an airport transfer for our arrival. However, we waited 2 hours and had to ask the Delhi Tourist Office staff to call the hotel. No apologies were offered when we arrived at the hotel. Also, the hotel ordered a taxi for us on another occasion. The driver did not know the destination and at one point ordered us out of the vehicle. While the hotel is not directly responsible, we feel it does have a responsible to assure that taxis and drivers know clients destinations. The driver also charged us twice the amount of what the ride should have cost. The hotel denied all responsibility. i have to say, the photos paints a pretty rosy picture for the hotel. it's actually 4 stories and in the middle of nowhere (you will definitely need a cab to get to anywhere). there are also squatters right next door at the construction site so it's pretty depressing in that direction. alright, about my stay... 1st thing that went wrong was the keycard given couldn't open my room door so they gave me the master keycard (very trusting of them) for a night. 2nd thing that went wrong was most of the cable channels were "parental locked" so i could only unlock them the next day (no i wasn't surfing some adult channel... it's hbo, cinemax and all that). 3rd thing that went wrong was that there was no hot water running to my room for 2 days. i was pretty annoyed by the 3rd morning with all the problems i was having - considering that the hotel's supposed to be a year new. the breakfast spread is actually the saddest i have ever seen so if you're staying here, be sure to get them to whip you up some fresh omelettes, sausages and bacon (not on the "spread" but it's part of the breakfast). menu items (for lunch and dinner) is actually not bad so kudos there. mantra's single saving grace is its staff. despite the various frustrations i've had, they've always remained "smiley", polite and very accommodating. i guess what mantra amaltas needs right now is for the management to get their sh*t together and sort out the hotel building itself. Pleasant Hotel with genuinely nice staff. Rooms are good and roof terrance sipping Lime Soda was lovely. Location is the issue as it is quite far from the Metro and Taxi drivers couldnt find it. สถานีรถไฟใต้ดิน Kalkaji Mandir - ระยะ 1.94 กม.